Magnets are used to remove tramp metal or nuisance metal from bulk materials. There are two primary purposes for this: to maintain product purity and to protect downstream equipment from damage. 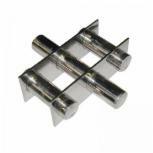 Magnets are available in a variety of configurations, strengths and finishes to suit the application. Two magnets can appear to be identical but have very different properties. Whether you are in the Plastic, Electronic, Tire, Paper, Metal, or Wood Recycling business, Bunting Magnetics Co. Crossbelts do a great job of separating ferrous metal contamination from non-ferrous products. They are also an ideal means of cleaning the product stream for equipment protection on shredded plastic being conveyed between Shredders and Granulators to protect against costly knife damage and maximize product purification. 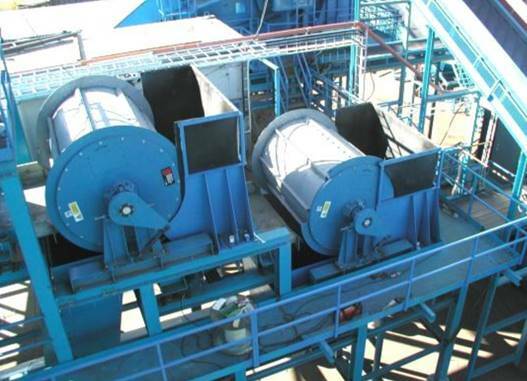 Bunting MagneticsDrum Magnets and Drum Separators are self-cleaning and provide continuous removal of ferrous contaminants from a wide range of free-flowing bulk and granular materials in high-volume applications. 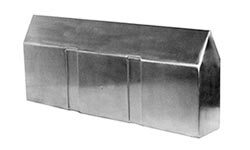 When material flows onto the drum magnet, a stationary magnetic assembly inside the unit’s shell captures tramp metal and holds it securely to the drum’s stainless steel surface. 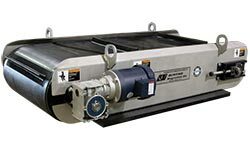 With contaminants removed, the good product falls freely to a discharge point. As the drum rotates, cleats sweep the ferrous debris through and out of the magnetic field. The tramp metal is discharged separately, creating continuous self-cleaning separation.